Recently published and forthcoming books of Irish American interest. Colm Tóibín’s latest novel Nora Webster finds the gifted Irish author writing one of his most personal novels since Brooklyn. Throughout Nora Webster, Tóibín taps into his early childhood growing up in Wexford, the death of his father, and the perseverance of his mother. His penchant for character-driven plot and psychological insight is front and center. Nora Webster brims with a subtlety and detachment that brings to mind other authors like James Joyce and of course Henry James. Much like James’s Portrait of a Lady, Tóibín renders the thoughts and actions of his main character Nora with a skill that allows the reader to connect to the character, but achieves enough distance to take in her world as well. While Tóibín captures the complexity of mourning and detachment in Nora, he is also successful in recreating small-town life, complete with minuscule gossip and petty workplace drama. In some ways, Nora Webster has more in common with Henry James than Tóibín’s previous works, as an air of the supernatural creeps into the story. Characters and ghosts possess an otherworldly hold on Nora’s life, and though at times compelling, Tóibín dips a bit too heavily into the fantastic, particularly with the character of Sister Thomas. Tóibín’s tale also tackles the Troubles and the changing political and social landscape of Ireland, but his re-creation feels detached. It is clear he is trying to weave the stories of Nora and Ireland together, but the seams show too often. Nora feels removed from the history unfolding in her country, preferring to reference what she thinks her husband would have thought or asking herself questions like what her interests were, only to conclude “she was interested in nothing at all.” These are the weakest sections of the book, but eventually Tóibín redirects his attention on Nora. What we are finally left with is a personal and loving portrait of resilience. Richard Flanagan’s The Narrow Road to the Deep North recently won the 2014 Man Booker prize. It is only the second time an Australian novelist has won the prestigious British award, but it’s easy to see why this one did. Narrow Road achingly and at times almost unbearably reconstructs the lives of a group of men forced to endure the near impossible during WWII, and how they experience the scars of war and the shadowed memories they leave behind. Flanagan tells the little-known story of a group of Australian POW’s in Thailand forced to construct a bridge, often termed “The Death Railway,” connecting Burma and Thailand, a story dramatized on the silver screen by The Bridge on the River Kwai. But that film gives a tepid portrayal of the real-life events in comparison to Narrow Road, which is viscerally poignant and eschews romanticized notions of war in favor of harsh moral ambiguities. One of the reasons Narrow Road works so well is the personal story it grew out of. Flanagan’s family history approaches the epic; his ancestors were Irish convicts sent to Australia during the Famine in the 1840s, and Flanagan’s father, who recently passed away at 98, was a prisoner of war in Burma. His stories played a big role in the conception of the novel. Flanagan dedicates his book to “prisoner san byaku san ju go (335),” his father’s POW number. At the heart of the story is Dorrigo Evans, an enigmatic surgeon who goes through his own epic odyssey of war and peace, adding another layer of emotional resonance to the tale. Evans is modeled on Sir Ernest Edward Dunlop, an Australian POW hero. Flanagan’s prose is direct and unsparing, but bursting with thunderstorms of tenderness that bring to mind other classic war writers like Tolstoy, Hemingway, and Mailer. Embedded throughout the narrative are allusions to some of Flanagan’s own influences like Tennyson and Kipling and the title is from a haiku written by the Japanese poet Basho. Flanagan’s book – instead of presenting a one-sided polemic, forces us to look at war and survival in all of its unsettling and ferocious power and influence. While Mary Pat Kelly’s second novel, Of Irish Blood, begins in 1903, the tribulations of heroine Nora Kelly remain entirely relevant today. At twenty-four, Nora finds herself unable to settle for a practical marriage and life at home. Instead, she pushes the boundaries of her prescribed woman’s role both at work, where her tendency to question authority lands her the beginnings of a career as a fashion designer, and in love. Nora begins an illicit affair with a charming rake who encourages her to “take her pleasure like a man,” an arrangement that lasts for years until he turns on Nora violently when she tries to seek her freedom. Facing physical threats and shameful social consequences, Nora flees to Paris, where she finds her quick tongue and designer’s eye are appreciated by a cast of historical characters from Chanel to Matisse, skillfully brought to life in Kelly’s delightful prose. The adventure that follows in Of Irish Blood is nothing less than an epic, weaving the story of a brave young woman who discovers that her opinions about love, art, politics, and war are as valuable as any man’s. Kate Kerrigan has a talent for writing compelling women’s voices. The Ellis Island trilogy, set in the 1920s through the early 1940s, centers on Eileen Hogan, Ellie, who immigrates to New York after her husband John is injured in the Irish War for Independence. She intends to work, send money home, and eventually return, but is deeply affected by, and conflicted about, the glamour of the Jazz Age. She loves her husband, but values independence; misses Ireland, but enjoys the freedoms of New York. She can be selfish, sentimental, eloquent, and sharp, all of which makes her a convincing character. Taking as settings the Roaring 20s, the Depression, and Hollywood’s golden years in each installment respectively, Ellie navigates the changing American landscape with a sense of growing liberalism and feminism. Some of the trilogy’s best scenes involve her interactions with a masculine landscape that seeks to silence a woman with as strong views as hers. Kerrigan handles these scenes with skill and writes towards a progressive ideal far ahead of its time. In one of the trilogy’s most memorable scenes, Ellie confronts officers at Manzanar, where a bi-racial friend has been interned. To always be on the right side of history at times makes Ellie seem more of an ideal than a real historical character, but Kerrigan’s writing is moving and the pursuit of happiness can sometimes itself feel less than realistic. So, why not indulge? Belfast poet Michael Longley’s tenth collection is a study in dualities: music and silence, age and youth, mythology and ordinariness, local and remote, history and present, war and peace. But the foremost, which undergirds the entire collection, is nothing less than life and the afterlife, signaled by a direct and personal opening line: “I have been thinking about the music for my funeral.” Much focus is given to World War I and the death of Longley’s twin brother. Ancestry and inheritance become key themes in the collection, so it seems almost natural that the immortality of Greek gods and Homer’s Iliad should take up so much space as well. Hardly a poem does not contain a classical allusion, with many directly comparing the contemporary with the mythological, elevating the present to the status of mythic importance. The compulsion towards myth making is reminiscent of Patrick Kavanagh’s much anthologized poem “Epic,” in which the “local row” of family fighting in Ireland is compared to the inspiration for Homer’s Iliad. But where Kavanagh’s poem suggests that historical significance may be arbitrarily determined, Longley’s continued use of classical characters and allusions is a personal elevation and catharsis. 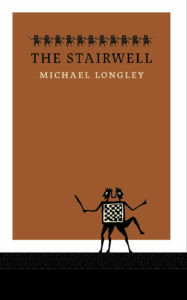 For Longley, who studied classics at the Royal Belfast Academical Institution and Trinity College Dublin, the classical serves as an extension of the self, both aiding his ability to come to terms with the death of his brother and allotting him a greater canvas with which to understand current and historical events. 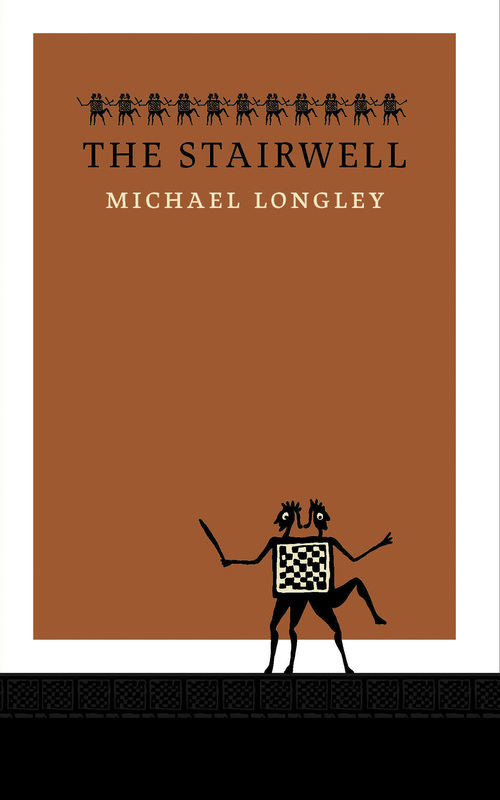 For those less familiar with ancient Greek mythology, Longley’s verse is no less potent and enjoyable (though the curious may want an encyclopedia handy) because he brings to it a contemporary relevance and personal force so universally emotional that even if you (like I) can’t pronounce some of the names, you still internalize their characters.